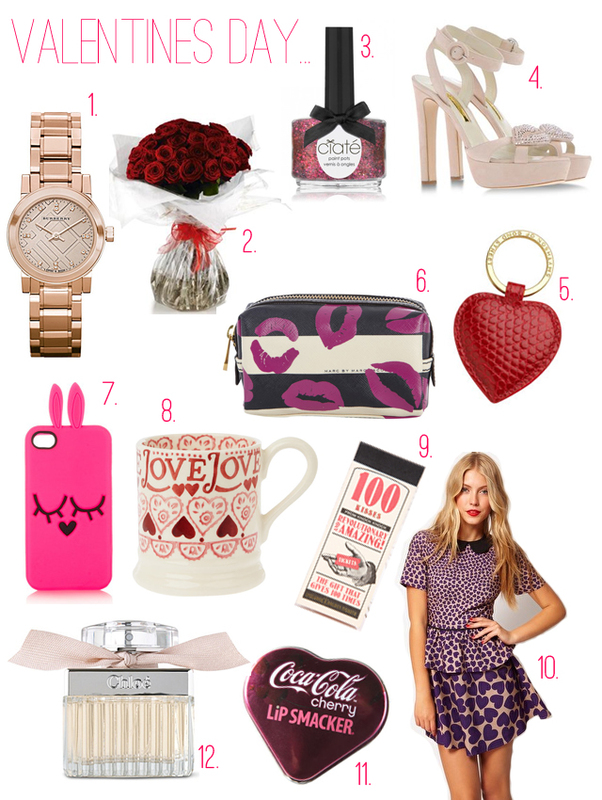 Valentine’s Day Gift Guide: For Her. This is my little gift guide (slightly wishlist) of cute little lovey dovey things girls most likely would die for on Valentines Day. I’m hoping my boyfriend reads this and takes a hint, aha. Most of these things on here are quite expensive with a few cheap-ish things. I’ll be in Paris for Valentine’s Day which sounds really cute but it’s a University trip, I’m literally so excited for it though! You can expect some Paris posts coming soon! I love everything in this post 🙂 such a good idea! Btw thanks for your sweet comment girl..if you're still looking for a Starbucks tee i found mine on Etsy not so long ago! wish I had an iphone purely for that adorable case! would NOT say no to that watch!